How to get to the Event Centre One of the biggest and most modern complex in Europe, located in the largest development area of the Mediterranean. 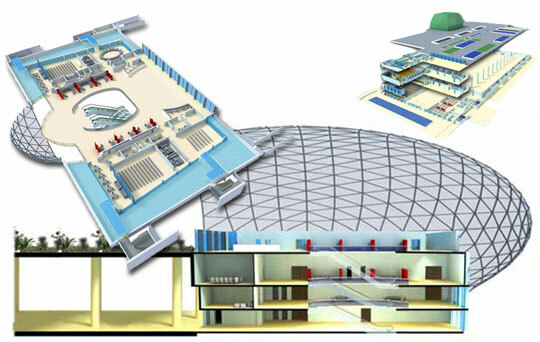 State-of-the-art architecture, open spaces and versatility are the main characteristics of the Convention & Exhibition Centre of Valencia, with capacity to host events for more than 12 000 participants. 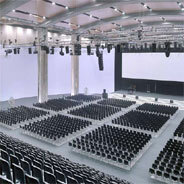 The space is distributed in four floors, which hold four conference halls, five VIP rooms, a pressroom, ten meeting rooms, four assembly halls and two auditoriums (which seat 390 and 718 people each). 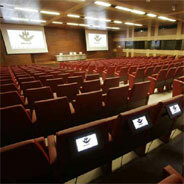 All rooms boast state-of-the-art facilities, from audiovisual control booths, projectors, PA system, mobile acoustic panels or data collection to interpreting booths for up to 6 languages in both auditoriums. 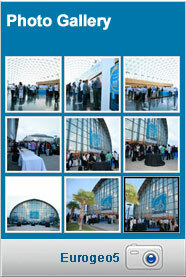 Large events can be hosted in Pavilion 5, annex to the Convention Centre, thanks to its dimensions. 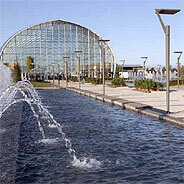 The best facilities for big events combined with the experience and services of the Exhibition Centre of Valencia. This completely enclosed building enjoys an excellent microclimate that guarantees a warm and welcoming atmosphere all year long. 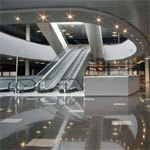 The Convention Centre has 7 700 m2 divided in four well-connected floors, creating a space uniform with Pavilion 5. 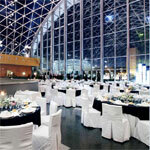 Located only 5 km from the city centre and the airport, the Convention & Exhibition Centre of Valencia is very well connected and has excellent services. The Convention Centre has all the required technical features.